Green is good! A green smoothie with fresh fruit, matcha, milk and yogurt is even better. Smoothies come together quickly and are a great option for breakfast or snack. The best thing about smoothies is that you can combine your favorite ingredients together in one smooth and refreshing drink. For this smoothie, I combined peach and vanilla flavors with Greek yogurt, milk, and banana. I added a small scoop of matcha to add nutrients and a beautiful natural green color. Culinary grade matcha is great to use in smoothies, baked goods and more. Matcha is rich in nutrients and adds a subtle flavor to the smoothie. 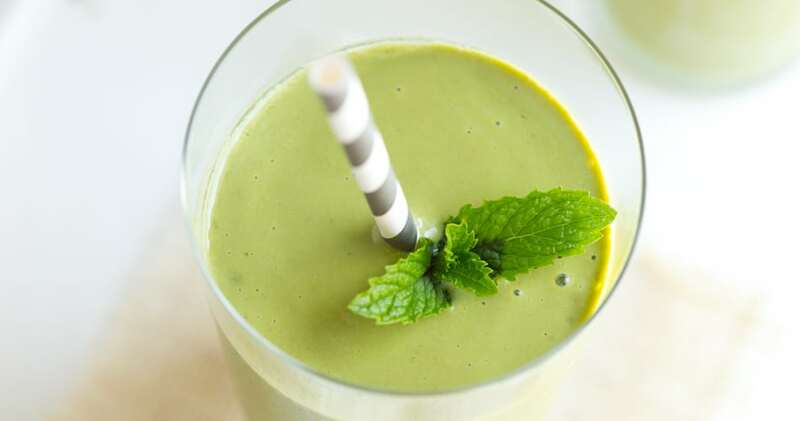 Go green with this Peach Vanilla Matcha Smoothie! Combine banana, peaches, yogurt, milk, matcha and vanilla in a blender. Blend on high until smooth. 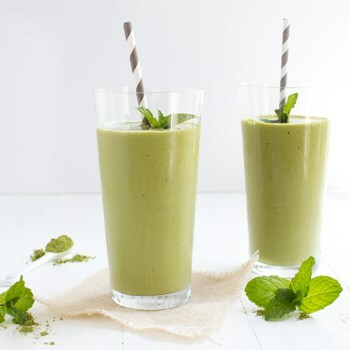 Pour the smoothie into a glass and garnish with fresh mint leaves, as desired. Serve immediately. Ashley is the girl in the kitchen and behind the lens. She shares easy yet impressive recipes that the entire family will love on her blog Spoonful of Flavor. 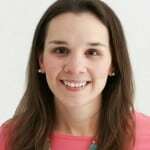 Food and travel are two of her biggest passions, and she believes anything can be made better with a double scoop of ice cream or a piece of milk chocolate.